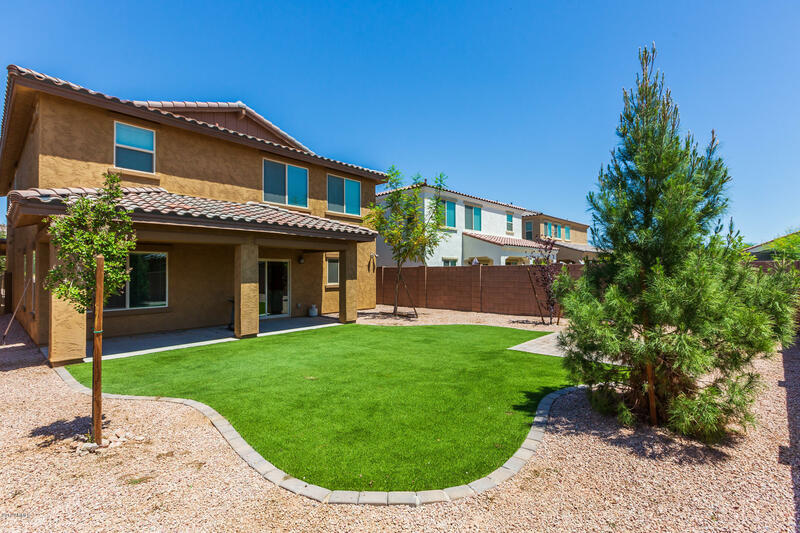 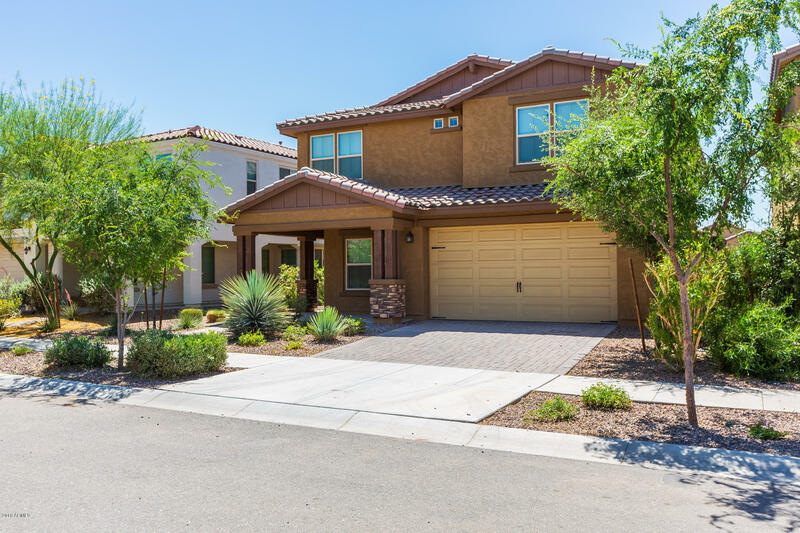 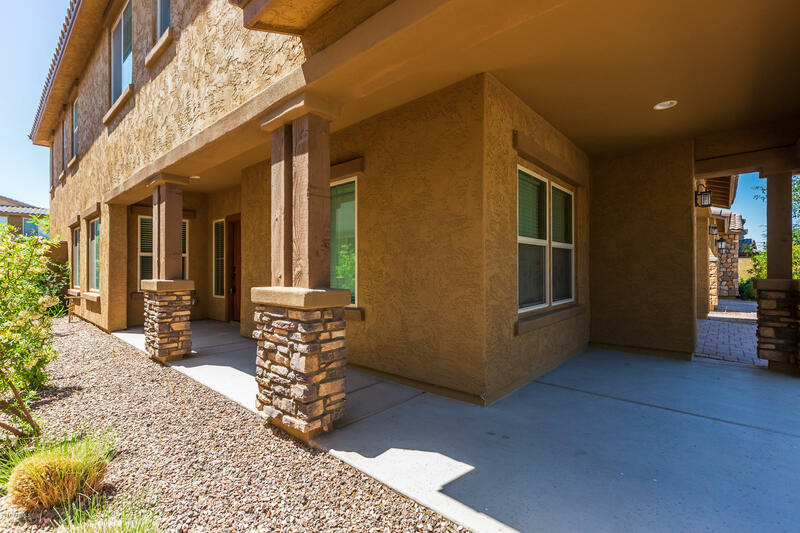 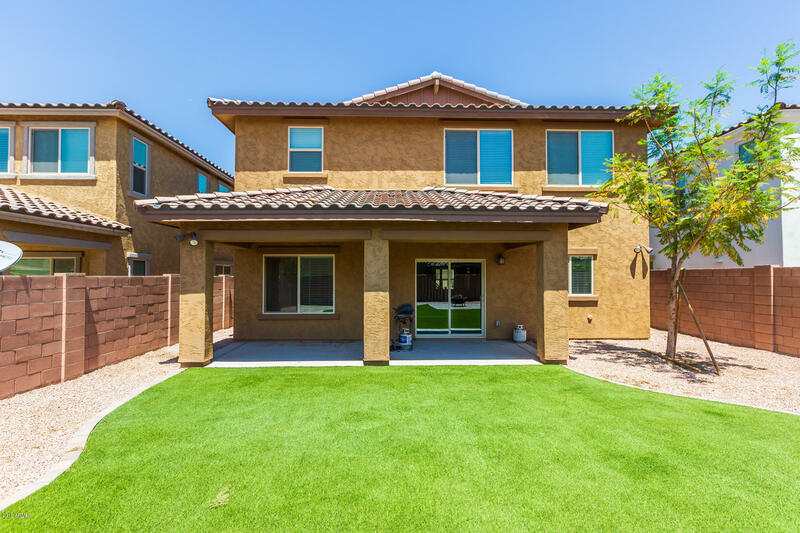 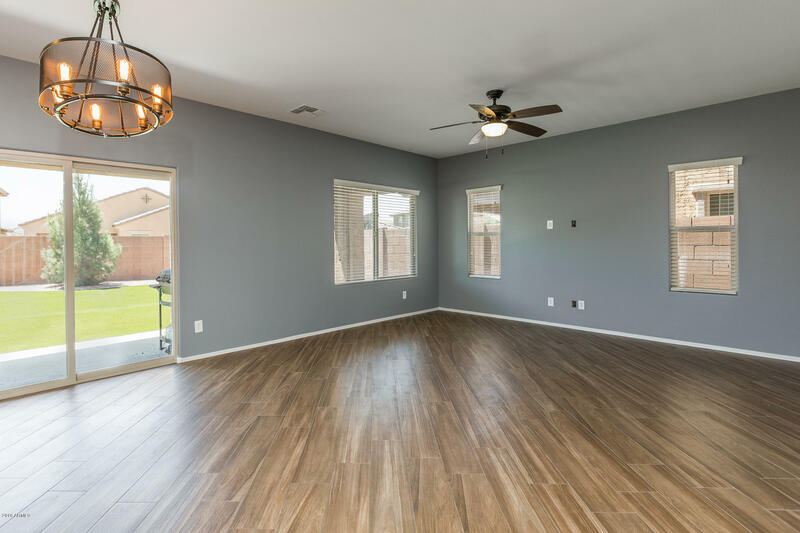 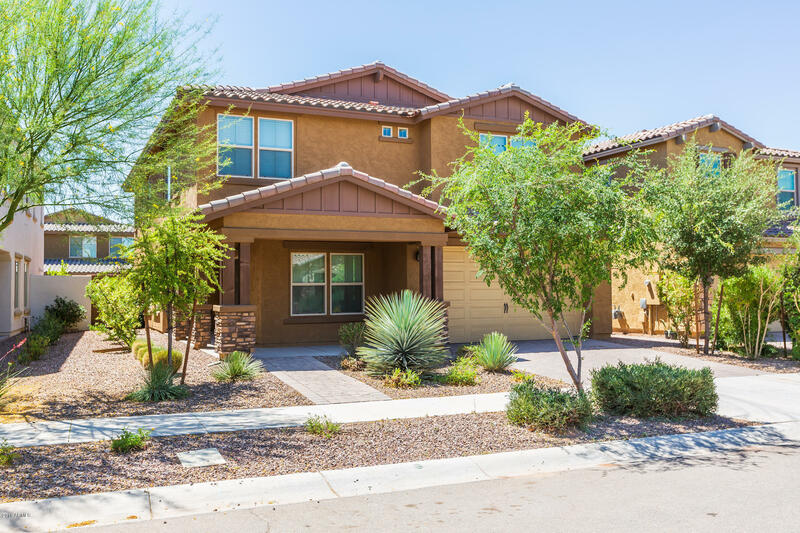 This home is for those who want to live in the #1 Selling Master Planned Community in Arizona but don't want to wait months for a new build. 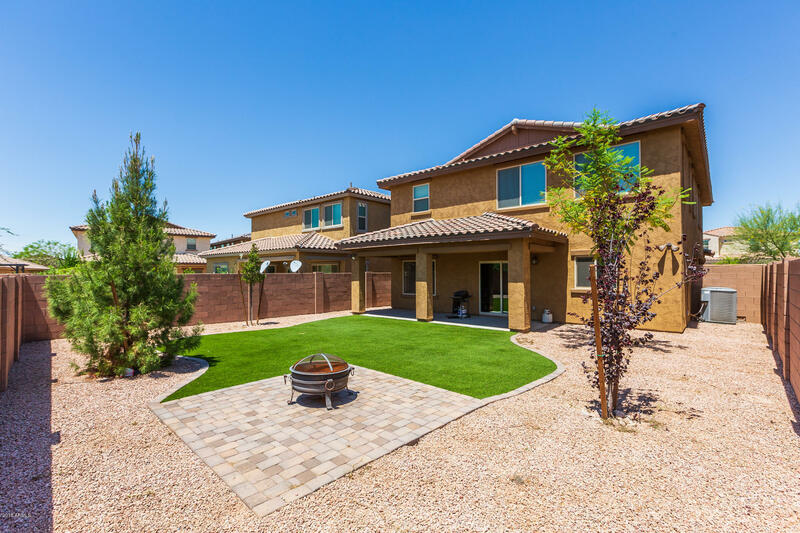 Landscaped backyard in place with a variety of trees and a large play area with artificial turf. 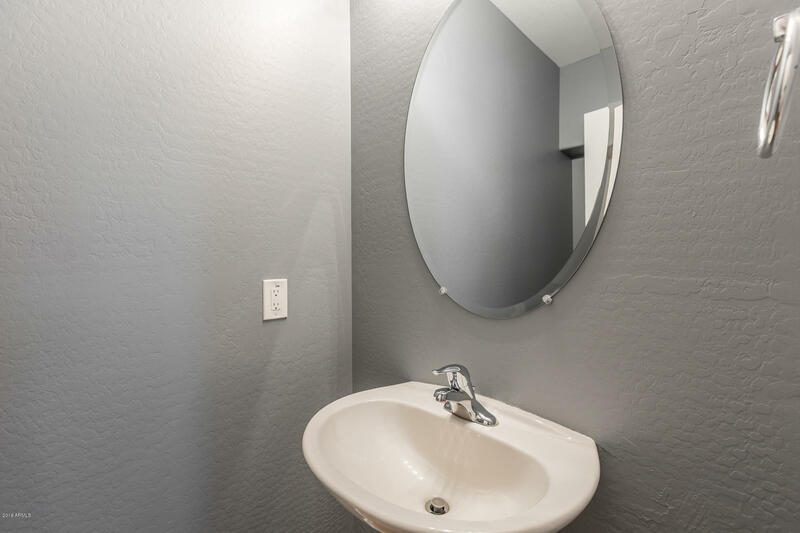 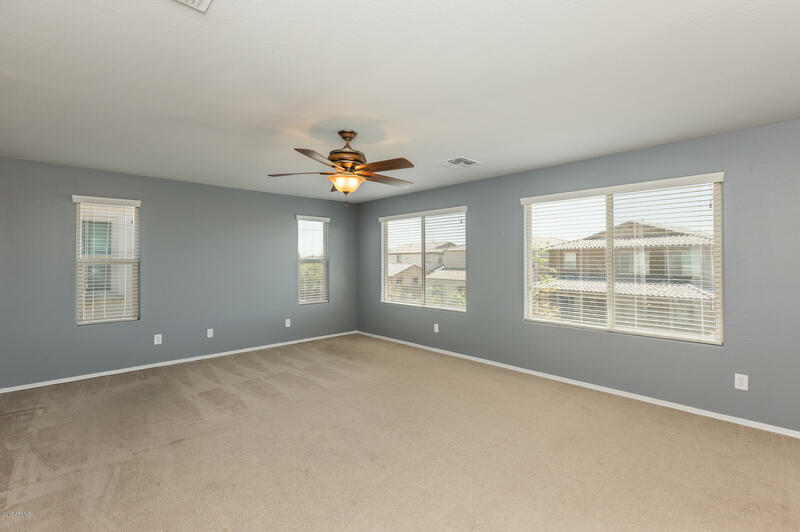 Brand new paint throughout the home. 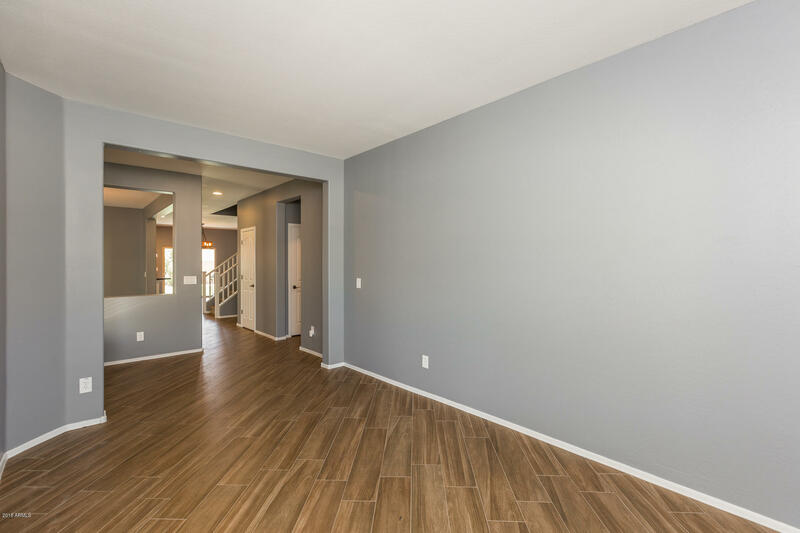 The entire downstairs has expensive wood-look tile laid at an angle. 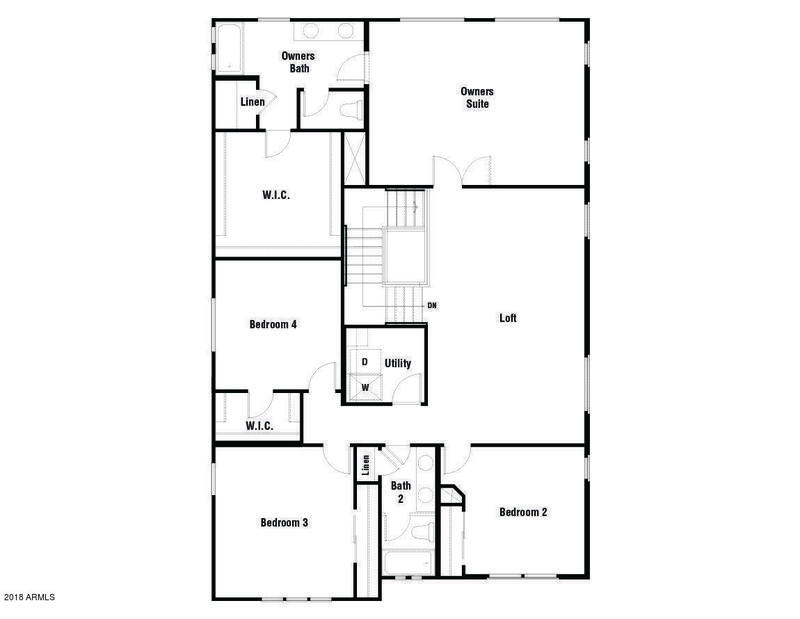 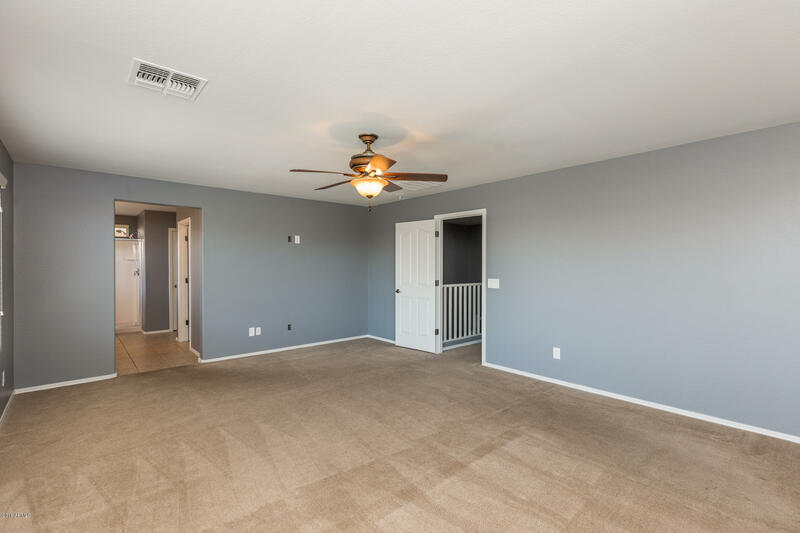 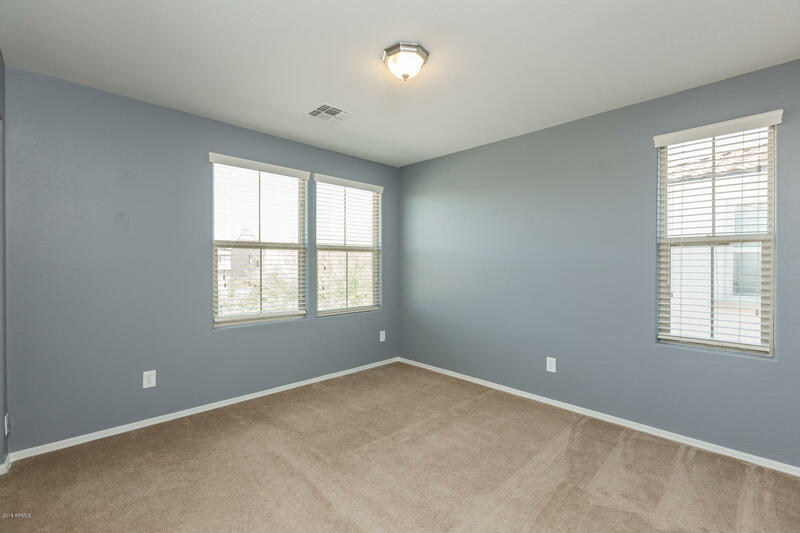 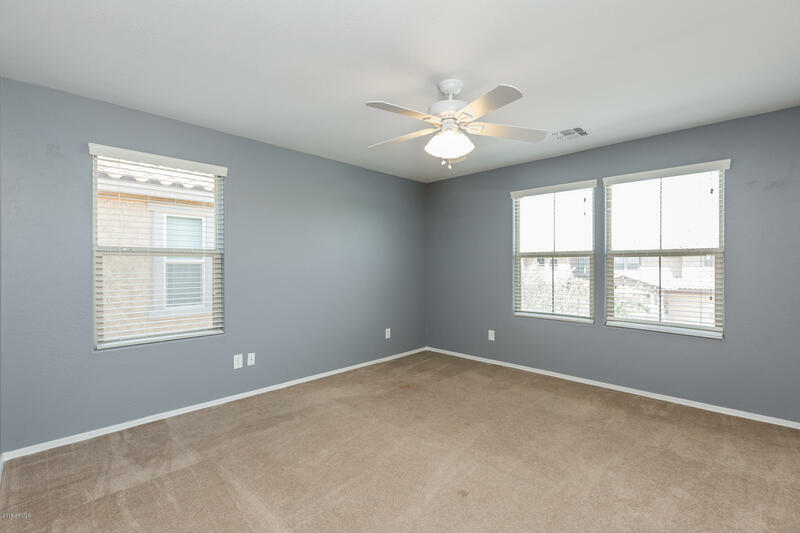 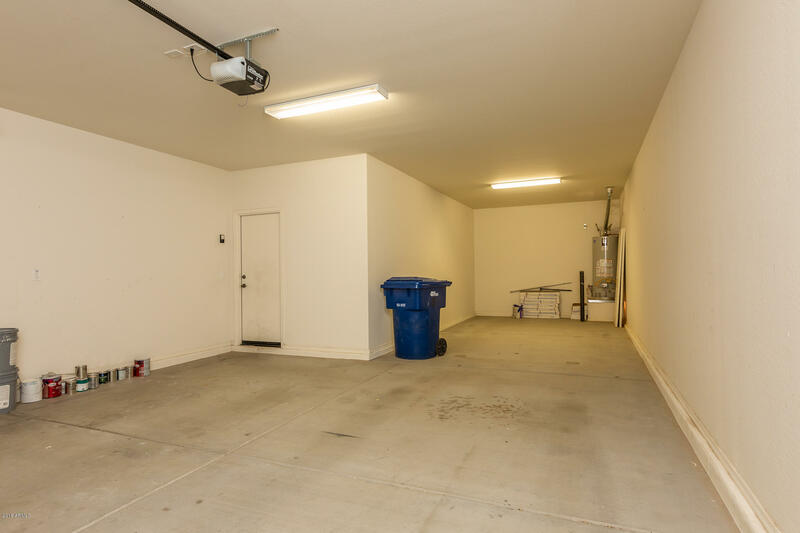 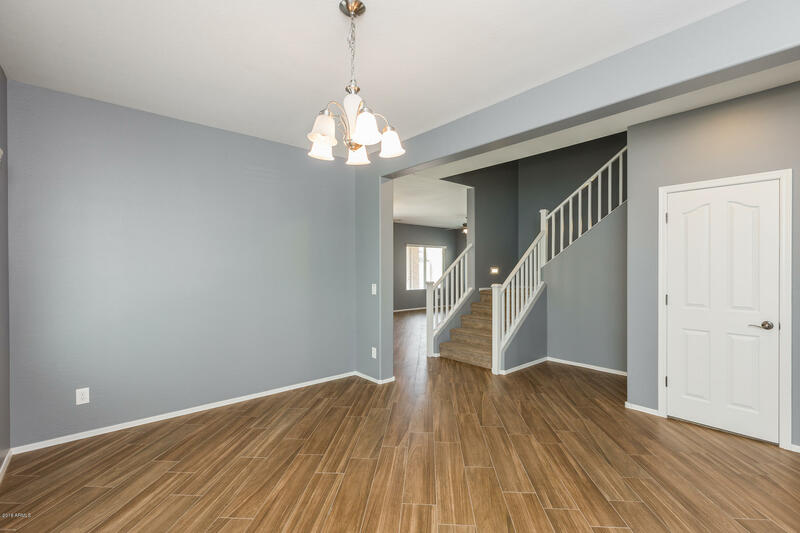 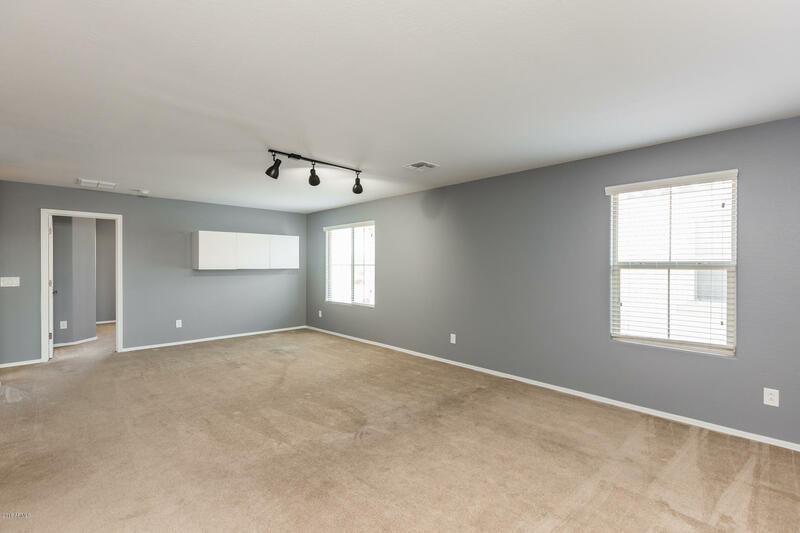 Every room in the house is spacious and you won't believe this many square feet can seem so big. 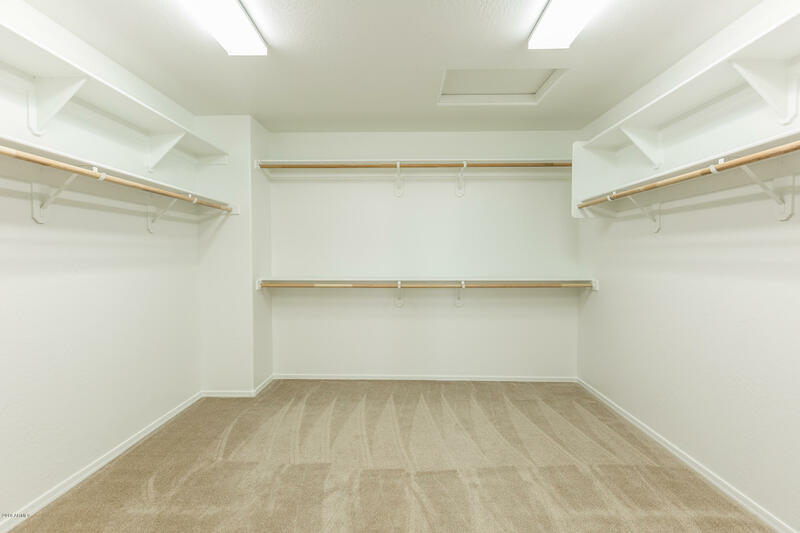 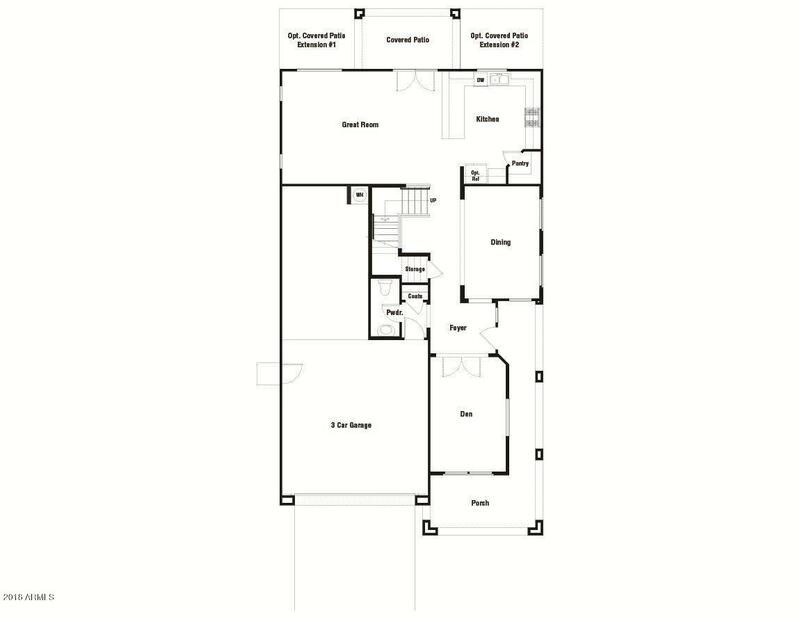 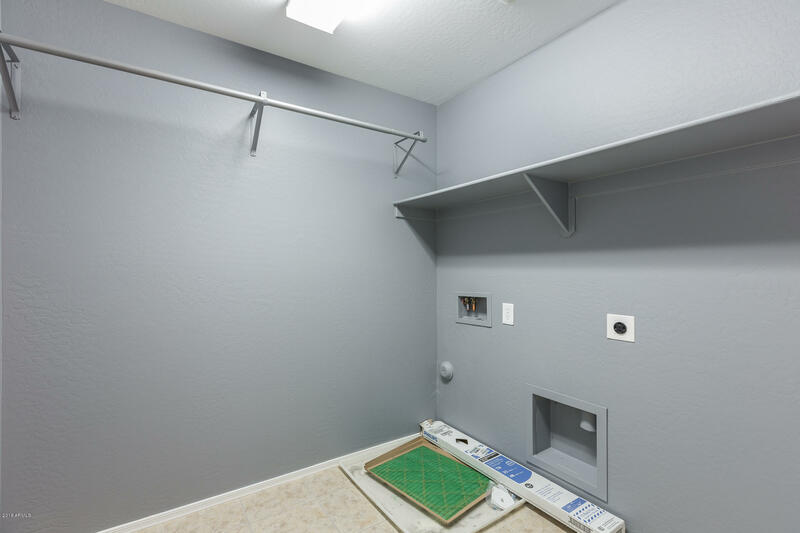 The master bedroom closet is the size of a guest bedroom! 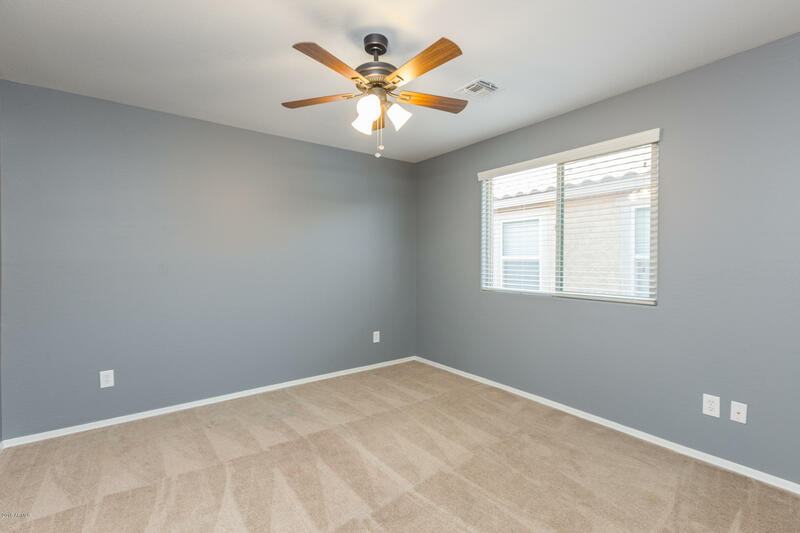 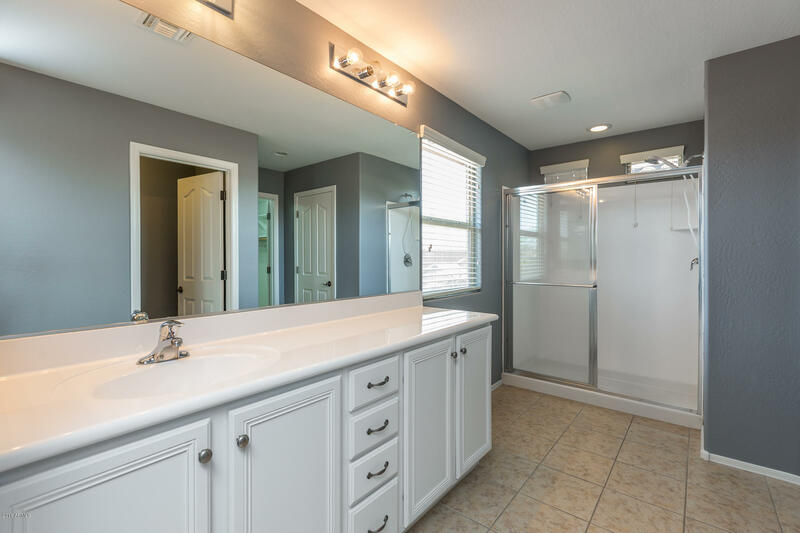 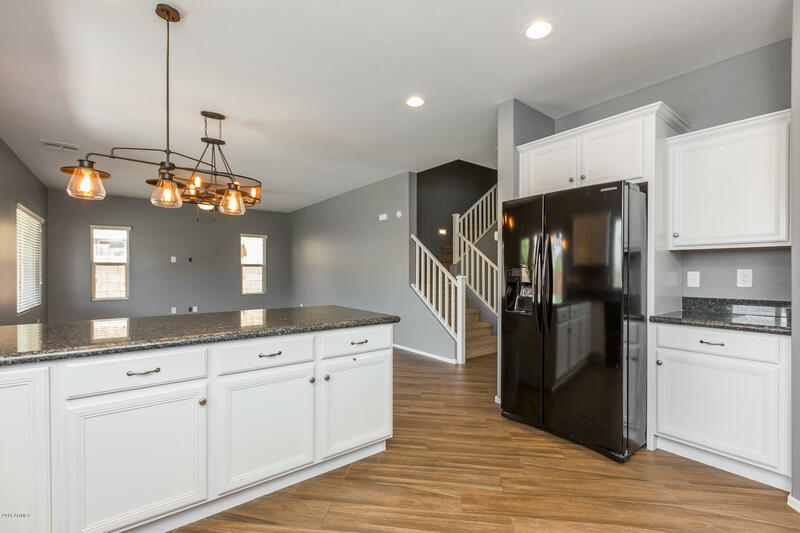 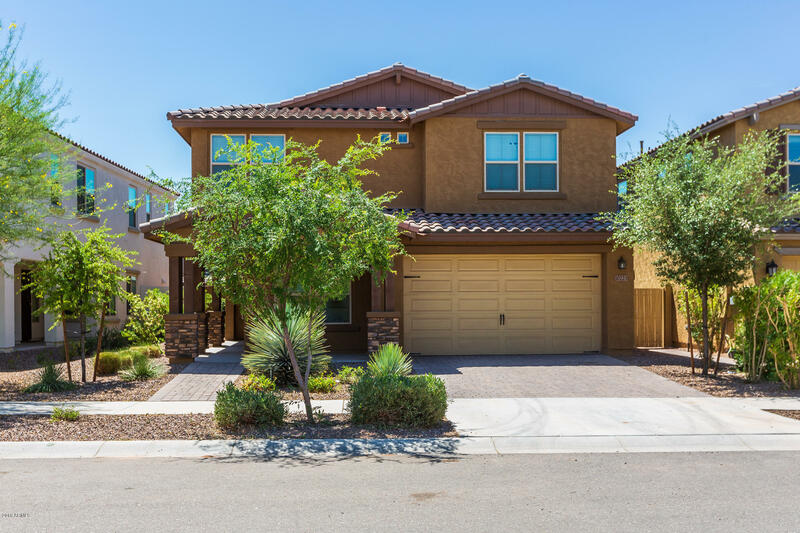 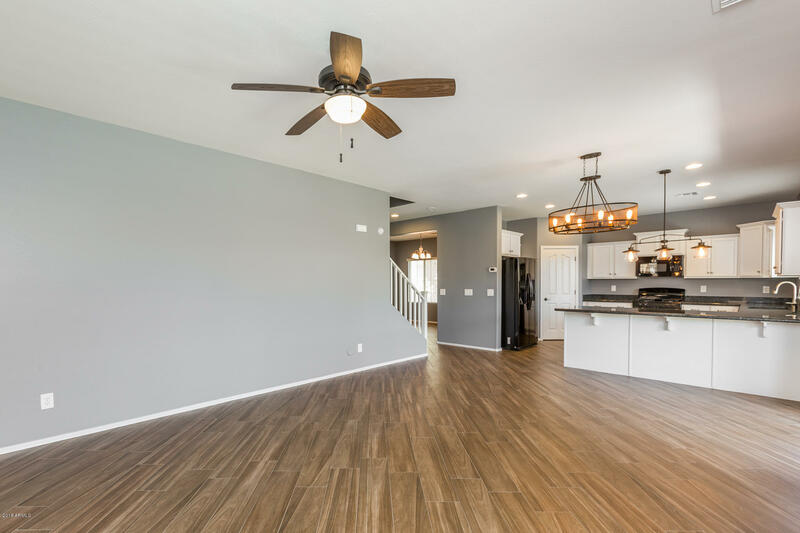 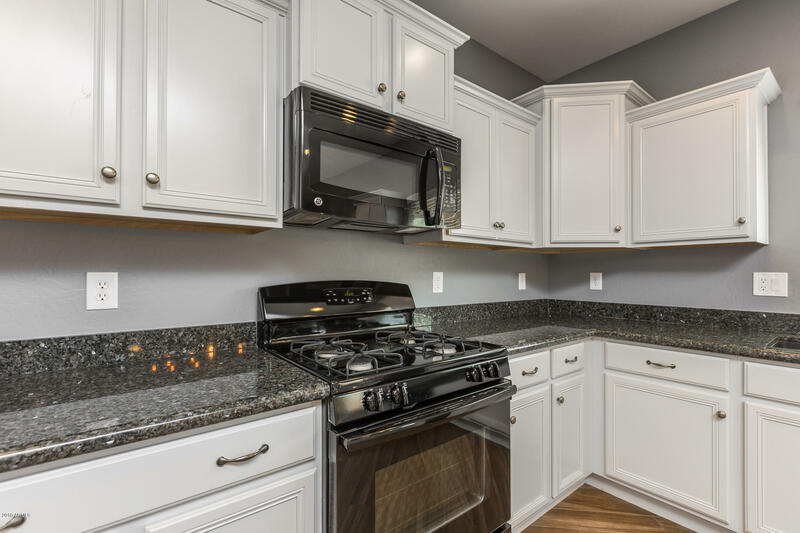 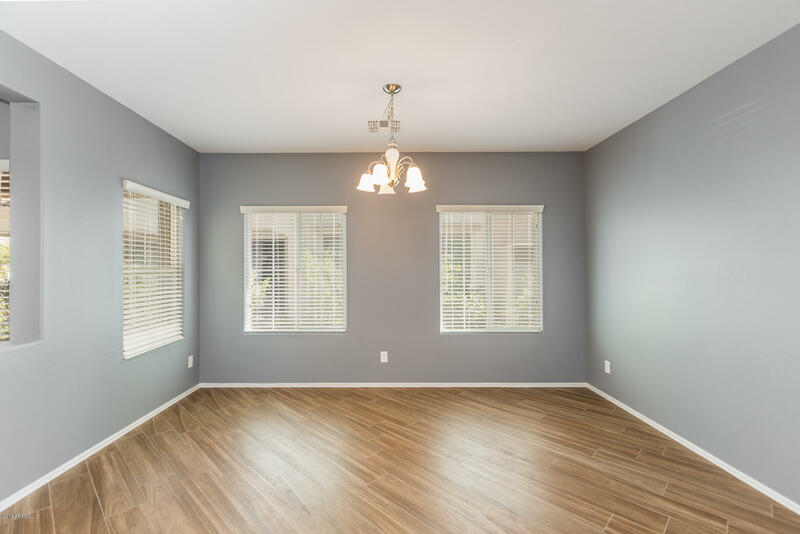 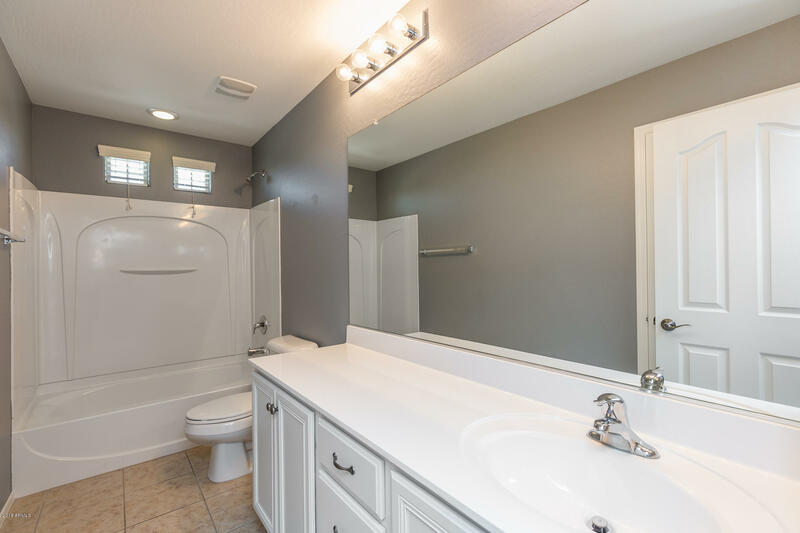 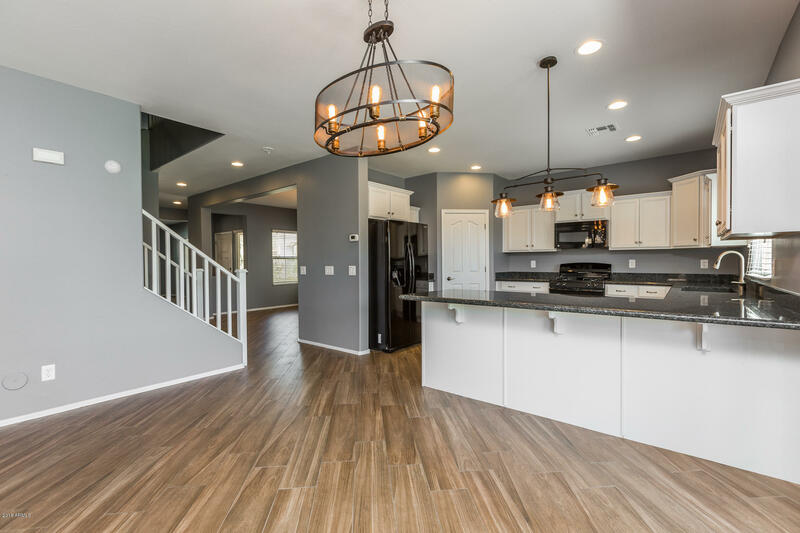 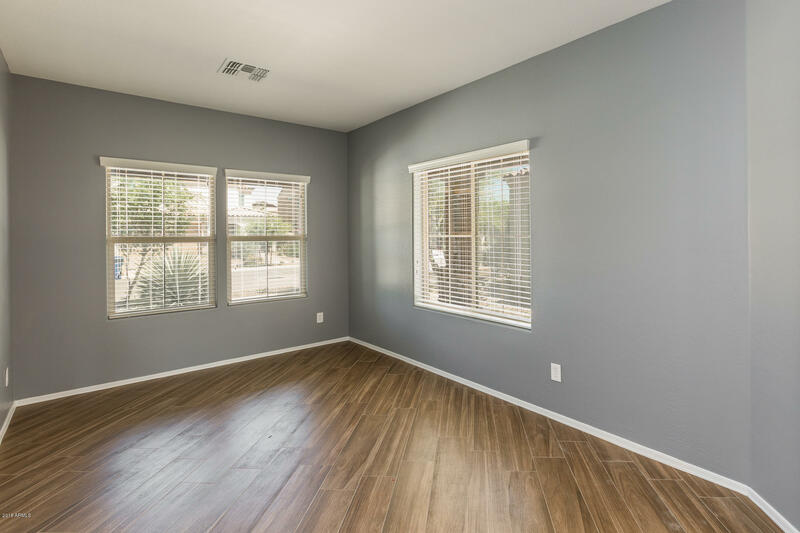 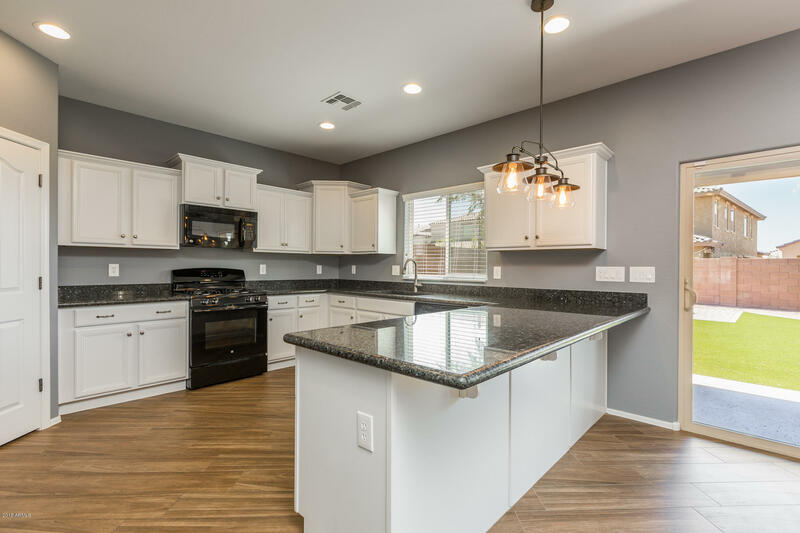 The home is located in a high-demand location in walking distance of the great park with the famous Orange Monster playground, the community center and pool, neighborhood diner, an outdoor amphitheater, and soon-to-be lighted baseball fields.